Got a coffee table? Then get a book to put on it. Sure you can look at pictures on your computer monitor, but when a typhoon or EMP takes out the electricity grid, it will be nice to sit down and enjoy some beautiful photography. 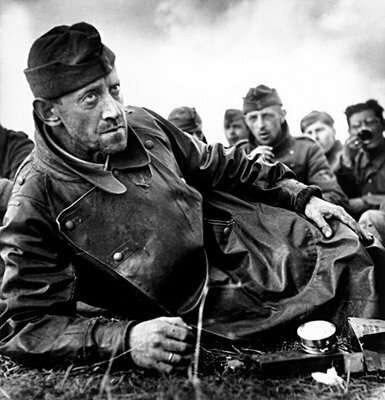 Robert Capa was one of the great war photographers. He was also one of the founders of the Magnum photo agency, along with Henri Cartier-Bresson. Capa covered five major conflicts from the Spanish Civil War in 1936 to the First Indochina War in ’54. 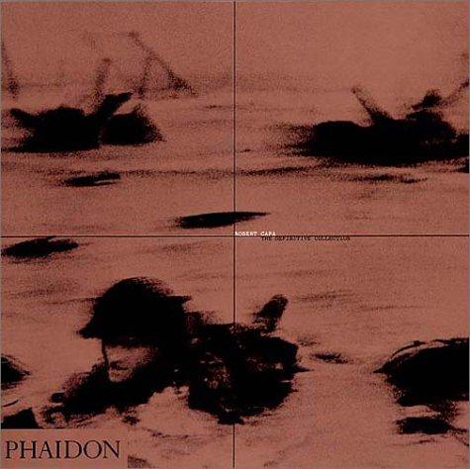 His images of the D-day landings are perhaps Capa’s most haunting. 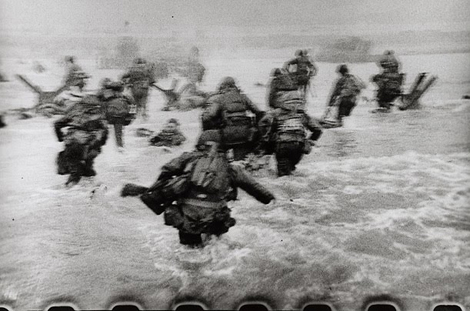 The shots taken as he scrambled from the landing craft towards the beach are haunting. It feels almost absurd to sit in eerie silence and stare at an image that was taken during the chaos, violence and noise at Omaha Beach. Capa was masterful at photographing people, whether they were his famous friends like Hemmingway and Picasso, or prisoners of war, the poor and the destitute. One of his portraits is of a French woman holding the baby she had fathered with a German soldier. The sequence of images shows her with her head shaved, and then being jeered as she is paraded through the town. The smiles of the crowd would have been pleasant in almost any other situation, but here they just show another facet to the brutality of war. Robert Capa: The Definitive Collection is a weighty tome covering images from that start of his career in 1932 to his death during the First Indochina War. Take a look through the pages for a masterclass in photography, and a powerful glimpse into some of the most important events in history. Henri Cartier-Bresson, the pioneer of street photography, and then man who strived to capture the decisive moment. 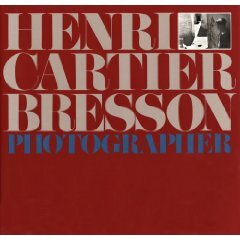 Henri Cartier-Bresson: Photographer is a comprehensive collection of Cartier-Bresson’s work spanning the years 1926 to 1979 and includes images from France, Mexico, China, Russia, and even Japan. 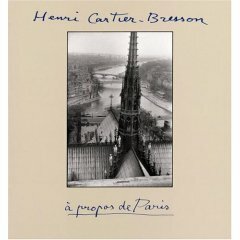 In Henri Cartier-Bresson: À Propos de Paris he delves deeper into his relationship with Paris. One aspect of his images I find fascinating is his ability to get fly-on-the-wall shots where the presence of the photographer is unnoticed or ignored. 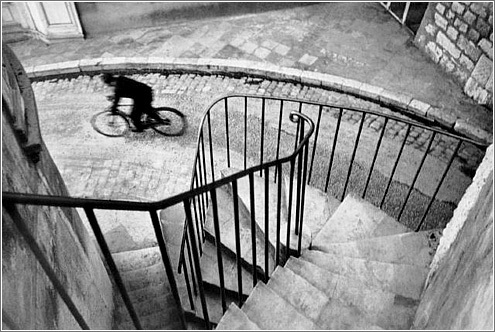 My favorite Cartier-Bresson image can be found in both books, captioned Hyères, France, 1932, it is a perfect example of “the decisive moment.” I thought this would be an inspiring image to have on my wall, especially for a cycling photographer. I found one print here but it had already been sold. I guess I’ll just have to wait for Christie’s to auction another! When it comes to portraits, the eyes have it. It’s not a coincidence that the cover of each of these books has the subject staring directly into the camera. Compelling, unforgettable and moving, McCurry’s images are unique street portraits: unstylized and unposed snapshots of people that reveal the universality of human emotion. Although some of the earlier pictures in National Geographic were staged, the majority of images in both books are shots of unposed strangers captured with natural light. The photographs allow us to step into the lives of others. Into the living room of an Irish family, into the Siberian hospital, or onto the flooded streets of Java. However, McCurry’s images look so much better when printed large in another of his books South Southeast . In contrast, there are the books of Portraits by Testino and Rankin. Both are filled with A-listers that spend their lives in front of the camera. In Mario Testino: Portraits he pays particular attention to his muses Diana, Madonna, Paltrow, and Moss. Portraits by Rankin is likewise filled with actors, models, musicians and royalty. If you cringe at our celebrity obsessed culture, these aren’t the books for you. Photographers, however, can still enjoy, or at the very least study, the way they control light and try to show the personality of the subject through the image. Portaits by Rankin – A Stark Choice? Faces: The Creative Process Behind Great Portraits by Jane Bown is back to basics portrait photography. She used black and white film (Kodak Tri X), a simple manual camera (Olympus OM1), natural light and a whole lot of talent. For 50 years she worked as a photographer for the Observer newspaper. Turning the pages of her book takes you on a journey through modern history. You start with the likes of Margot Fonteyn and Orson Welles, and finish with modern lumineries including the Coen brothers and Spike Lee. By far the best of the books I’ve read on the photography business is VisionMongers : Making a Life and a Living in Photography. I bought VisionMongers having being impressed by duChemin’s previous book Within the Frame . As is to be expected, David duChemin is a great photographer, but he is also a talented writer. He has a good conversational tone to his prose, and what he has to say is useful or even insightful. In Within the Frame, he mentioned the idea that gear is good, but vision is better. In VisionMongers, profit and selling are secondary to vision and passion. The book was published in 2010 so along with more traditional advice on starting a career, it also contains guidance on branding, websites, blogs and social media. duChemin is however, not shy to discuss the financial realities of becoming a professional photographer. Having gone through bankruptcy himself he does not advocate a gung-ho approach to career transition, but discusses the various possibilities available. There’s a lot more to the book, but rather than have me ramble on, I simply recommend you buy a copy and read it. Well worth the money.